Working from home, facing your laptop for hours and all alone in your home office -- how can this be a happy set up? I used to picture this unhappy scene in my mind whenever I hear stories about people working from home. Working can only be fun if you have fun people around you. So, how can someone be happy while working in the four corners of his/her home? 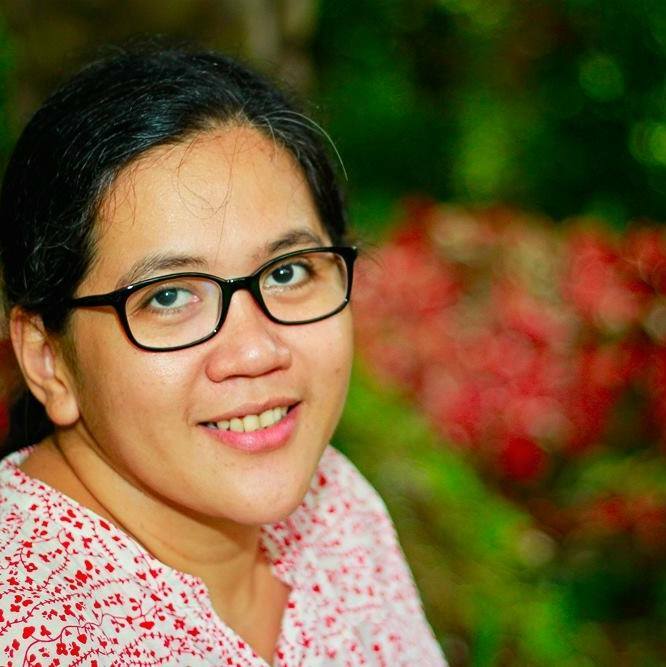 I first met Marge or The Happy WAHM as she is known online, in April 2013 at the WAHMderful Life workshops organized by Martine De Luna (Make it Blissful) and the Manila Workshops team. 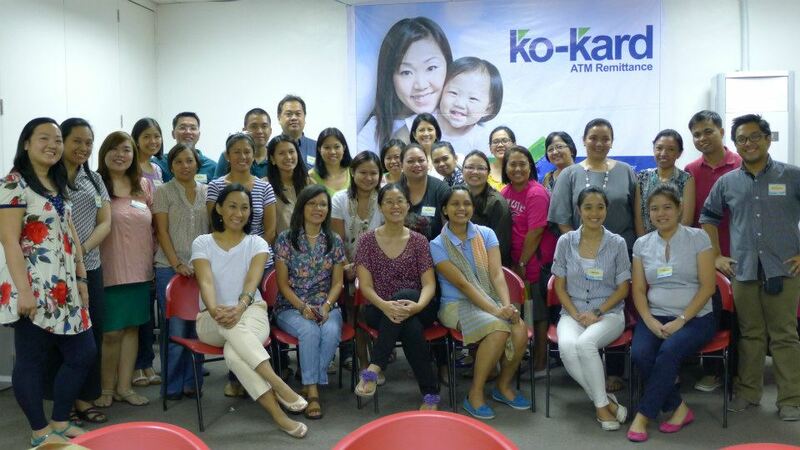 Our batch was divided into two workshop groups based on the online jobs that we can try to start our WAHM career. The "writing group" was facilitated by Martine and the "virtual assistance (VA) group" by Marge. I joined the writing group but my workshop buddy Em (Touring Kitty) attended the VA workshop and she only had positive feedback on how clearly Marge explained the VA way of life. After the workshop, I met Marge in several events (WAHM, blogging and homeschooling) but our online interaction (chats, FB community pages) was crucial on how I appreciated and admired women who work from home. 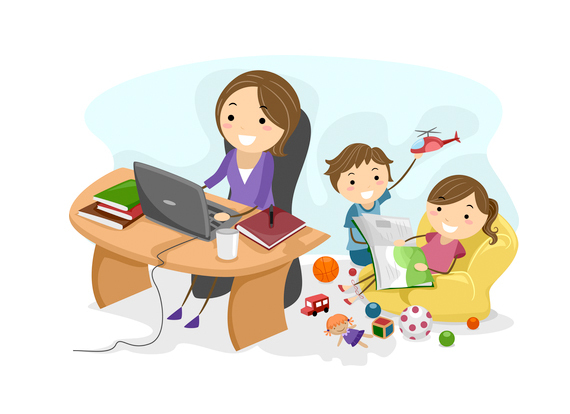 Being with the family is one, if not the most important, factor why people choose to work from home. This reason alone can convince anyone that one can stay happy ( or even happier ) while working from home. Staying happy may be important but you also need to ensure you're getting the right clients and being compensated accordingly. Marge's nine years of VA experience will inspire, encourage and help you decide to try or pursue the work from home path. 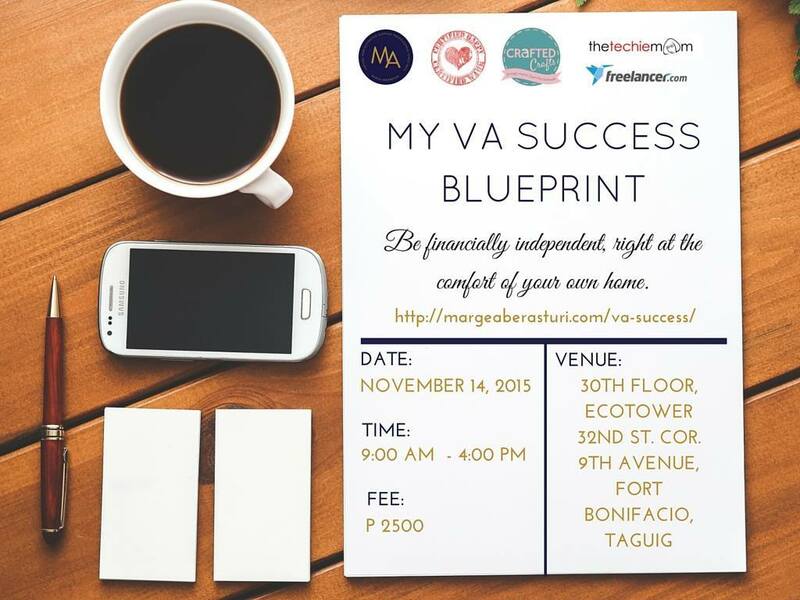 Join Marge as she holds a workshop re-run of My VA Success Blueprint, on November 14, Saturday to be held at Freelancer.ph headquarters in Bonifacio Global City. Click here to know more about the workhop. Don't miss this opportunity to learn from The Happy WAHM and meet one of the most generous and helpful WAHMies in our community! I would love to go, but I have already an appointment on November 14 and it's a wedding. If there's another date, please notify me. My email address is barbiesaleisha@gmail.com. I will really appreciate it. Thank you for posting this.